The first thing any business owner needs to do when thinking about ownership succession is determine what her objectives are in initiating a sale of her company. Certain business owners want to get the highest value from the sale of their company and are not concerned about what happens with their business after they sell it. However, many owners of closely-held companies look at their business as their baby — something they’ve built, nurtured, and grown through their own sweat and tears. These business owners are not necessarily looking for the highest price, but are also interested in seeing their company continue to grow and evolve in the future — maybe not with their involvement but with people who have been loyal and dedicated employees for many years. For these types of business owners, using an employee stock ownership plan (ESOP) is a good way for business owners to pass on their company to employees. A sale of a company which does not involve an ESOP is generally an “all-or-nothing” deal where a third party purchaser acquires 100 percent of the assets or stock of the company, the new management group assumes control of the company and, in most cases, the prior business owner ceases to be employed with the company immediately or within several months after the deal closes. However, in a transaction using an ESOP, the business owner is dealing with a friendly group of employees who are used to the former owner of the business being involved in the company’s operations so the buyer will be willing to facilitate this transaction on a timetable acceptable to business owner. By using an ESOP, you can sell less than 100% of your equity of the company to get started with an ownership succession process, thus taking some of “chips off the table.” Then, in a few years when you are ready to retire, you can do another transaction with their company’s ESOP to sell your remaining equity. Thus, an ESOP transaction is very attractive to an owner who isn’t ready to retire and who still wants to continue to be involved in the operations of the business but needs to get some liquidity for family needs or to start planning for retirement. Compared with traditional exit strategies, ESOP transactions have more flexible financing structures. If necessary, ESOP transactions can be structured without any outside financing at closing. In situations where a shareholder is selling an amount of stock that is valued more than what a bank will lend, the selling shareholder can finance the transaction by issuing a seller note. This is referred to as a “leveraged ESOP.” The terms of the “seller notes” are negotiated to represent prevailing market conditions as if the company obtained financing from an outside third-party. Recently, these rates of return have been in mid-to-high teens range, depending on the facts and circumstances. Perhaps the most unique benefit of establishing an ESOP to purchase the selling shareholder’s stock is that the seller may be able to permanently defer all capital gains taxes on the transaction if the shareholder’s stock is held in a C-corporation. To learn more about this tax advantage read here. If the seller’s company is not operated as a C corporation, the company can be converted into a C corporation prior to the transaction to permit the current owners of the firm to take advantage of the tax deferral opportunity. Therefore, in comparison to other sale [Core #22] alternatives, the ESOP structure is often the most tax efficient structure for the selling shareholder. 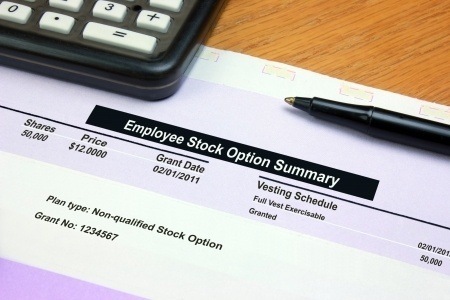 The ESOP structure can also create significant benefits for the company. First, an ESOP can reduce or even eliminate a company’s corporate tax burden. Additionally, since annual contributions to the ESOP are a fully tax-deductible expense, an ESOP company can fund both the principal and the interest payments on an ESOP’s debt service with pre-tax dollars. Generally annual contributions are limited to 25% of total qualified payroll. Furthermore, while the annual contributions to the ESOP are tax deductible for all companies, there is a significant tax benefit when an ESOP owns 100% of the common stock of an S corporation. Income from an S corporation is passed through to the shareholders of the entity, but since an ESOP is a qualified retirement plan that is exempt from all federal and most state income taxes, the benefit creates significant savings. Companies that are structured as 100% S corporation ESOPs, have a significant competitive advantage because such firms can use the enhanced cash flow from tax savings to be more cost competitive on bids, accelerate debt repayment, expand through acquisitions, and attract new talent. While it is important to consult with advisors on the legal limitations related to establishing and maintaining 100% ESOP S corporation status, the long-term benefits can lead to tangible increases in company value which translate directly into material retirement saving for employees. In addition to the flexible deal structure and tax savings, numerous empirical studies have shown that employee-owned companies have been more profitable during the past few years which have been financially challenging for many companies and have benefited from a more loyal workforce who are all personally invested in the success of the company. 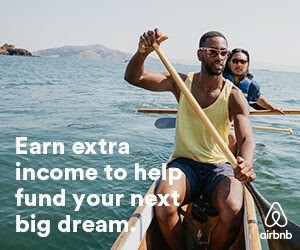 The benefits of having a well incentivized workforce and an employee-ownership culture can help the company attract and retain well-qualified employees and maintain an advantage over its competitors which can translate into a significant return on investment for the employee-owners to fund their retirement.